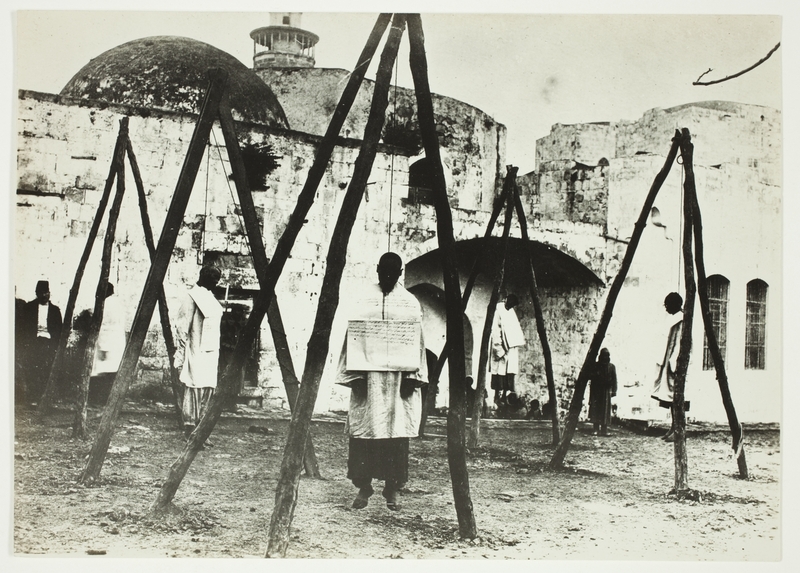 Historical photos treasures are still waiting to be uncovered around the world. 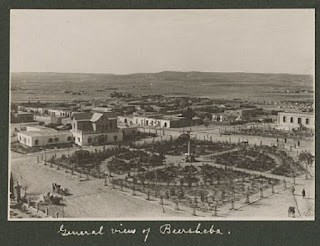 Presented here are photographs of World War I in Palestine that we found in the Australian New South Wales State Library. 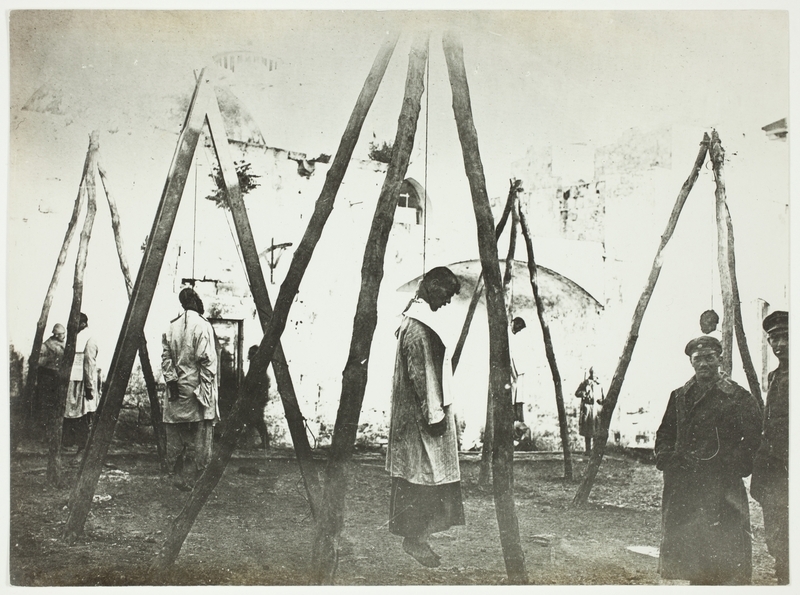 The photographs were taken by a German officer who was captured by Australian troops. Details about the officer are not available, but his camera contained pictures from Nazareth in the north to Jerusalem, Hebron, Gaza, and Be'er Sheva in the south. 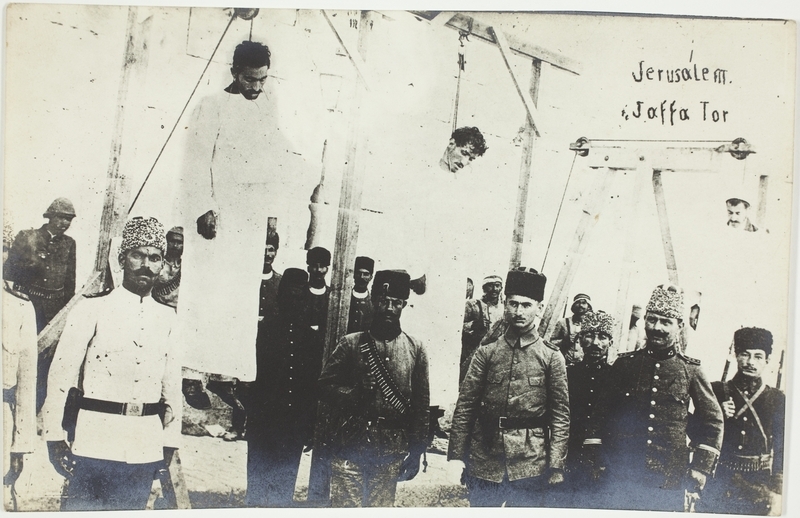 The officer also took several gruesome pictures of a military hanging across the Jordan River in Salt. 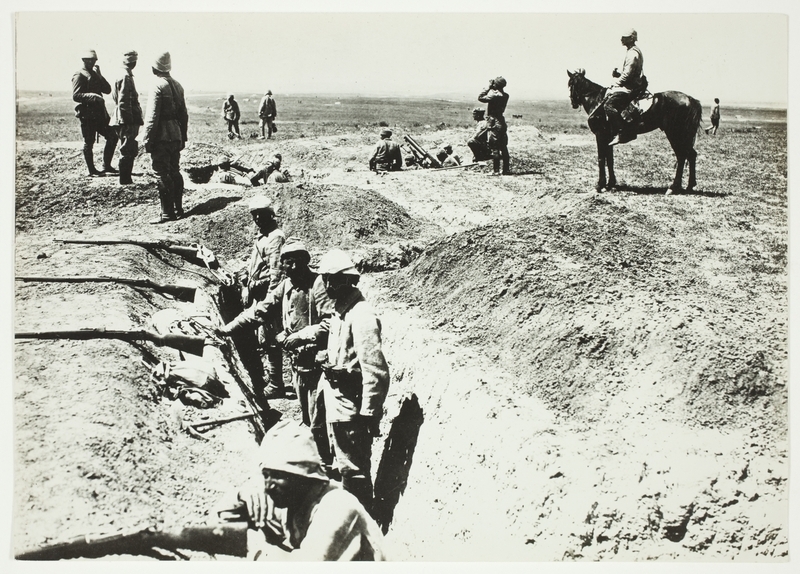 The German and Austrian armies were allied with the Ottoman army in their attempt to force the British army from the Middle East. German officers commanded the joint forces. On the other side, the British army included forces from Australia, New Zealand, India, Hong Kong, and Jewish soldiers from Palestine -- all under a British commander. In the north, the German officer took the picture below of the Turkish and German soldiers' muster at their Tiberias headquarters. 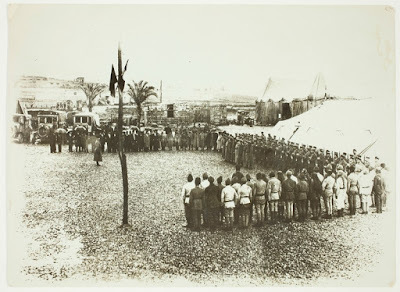 Turkish and German soldiers at muster in Turkish Tiberias headquarters. He also took several pictures of the shoreline of the Sea of Galilee which can be viewed here. 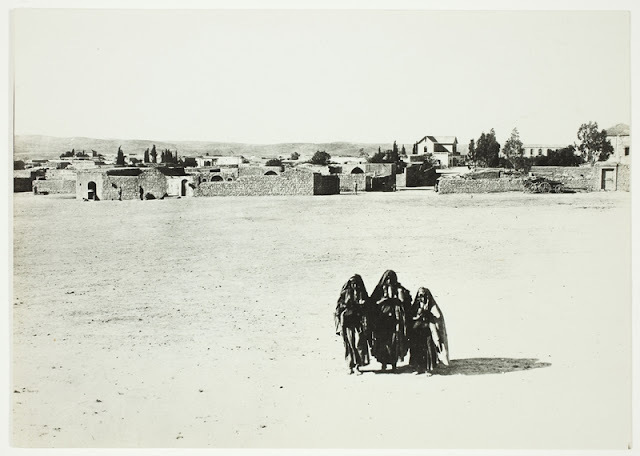 In the Spring of 1917, the British army, traveling north from the Sinai Peninsula, attempted two frontal assaults on Turkish lines holding Gaza. 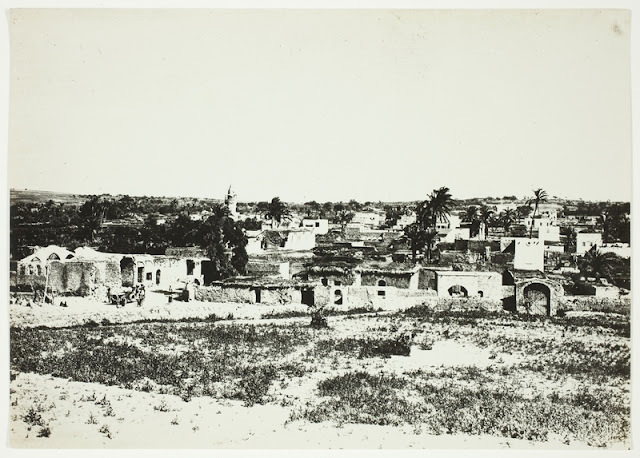 The results were disastrous for the Brits, and Gaza was left in ruins. Compare the picture on the left by the German officer before the battle and the colored one on the right, taken by an Australian soldier. 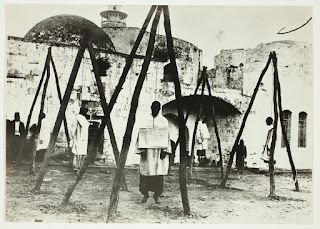 Both show the central mosque in Gaza. 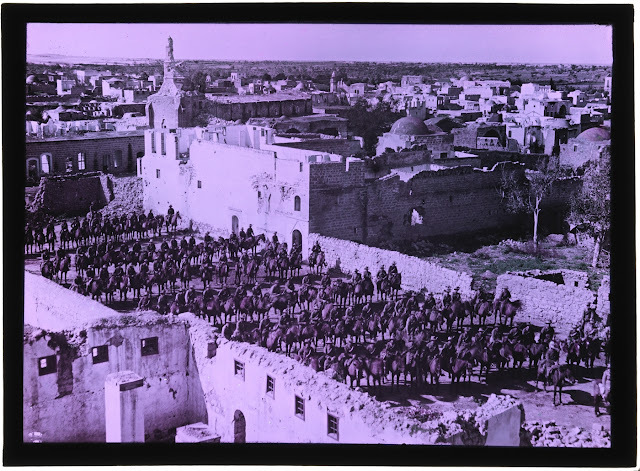 Australian Light Horsemen after the capture of Gaza, note the remains of the mosque. The following pictures may be difficult for some viewers. 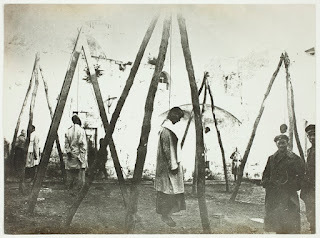 Caption: "Hangings outside Jaffa Gate, Jerusalem. Arabs, Armenians, Bedouins, Jews - official Turkish photo"
We thank librarians and archivists for preserving their photographic treasures by digitalizing them.